Truthseekah is a Christian, a street minister, a truther and a hip hop artist from Mobile, Alabama whose music has a defined rock/rap sound. Truthseekah was recently featured in Truth Music Directory (you can see that by clicking here)... and be on the lookout for a Brent Lee Regan - Truthseekah collaboration in the near future! 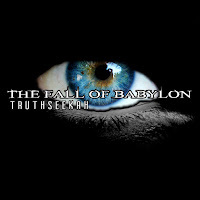 Download "The Fall Of Babylon" - by clicking here!